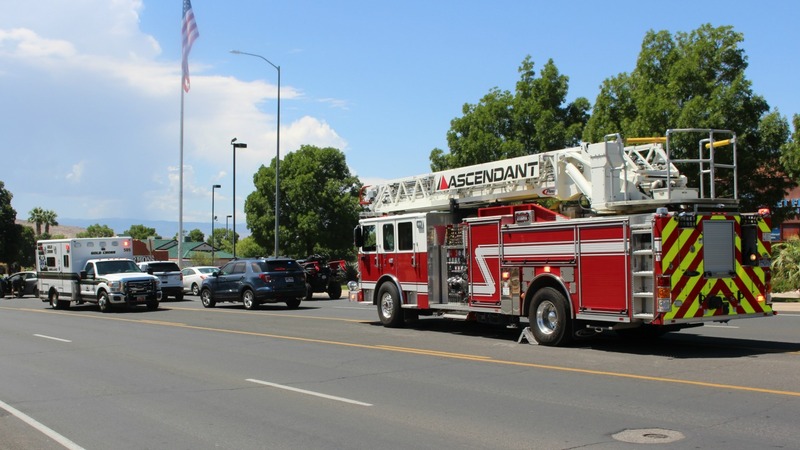 ST. GEORGE — A crash on River Road resulted in minor injuries and a citation Friday, which police say was the result of a polite gesture that ended badly. 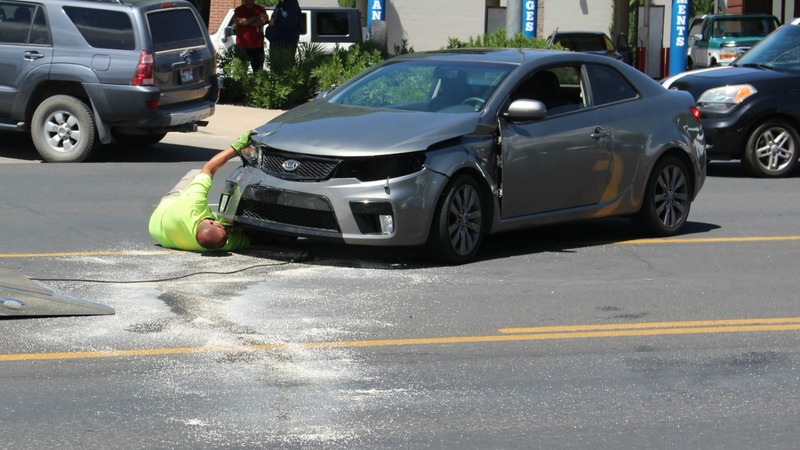 Shortly after noon, officers, paramedics and firefighters responded to a two-vehicle crash near the intersection of River Road and 700 South involving a white Chevrolet pickup truck and a charcoal gray Kia passenger car. Upon arrival officers found the Kia blocking the inside lane on the southbound side of River Road, while the driver of the pickup truck was able to pull into the parking lot of Harmon’s Grocery Store out of the way of traffic, St. George Police officer Ken Childs said. Minor injuries were reported, and all occupants in either vehicle declined to be transported to the hospital. The man driving the pickup truck was stopped while waiting to pull out of the Harmon’s parking lot to turn left heading north on River Road, Childs said. Meanwhile, a driver heading south in the outside lane of River Road slowed to a stop and motioned for the pickup driver to pull out into traffic to make the turn, Childs said. Once the pickup cleared the outside lane, it was struck by the southbound Kia as it crossed the inside lane. The pickup driver was unable to see the oncoming Kia due to the line of cars that were backing up behind the traffic light. Similarly, the Kia driver could not see the truck until it pulled out directly in front of them. The airbags in the Kia deployed on impact, and due to extensive damage, the car was towed from the scene. The pickup truck remained operational and was driven from River Road. The driver of the pickup truck was cited for failing to yield while entering a roadway, Childs said. Friday’s collision is one that is often referred to as the “Good Samaritan crash” by police, one of the few collision types that officers actually created a name for, Childs said. 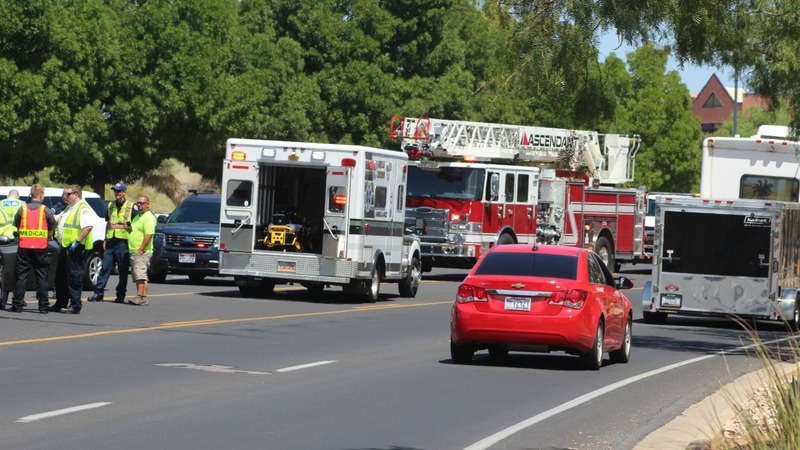 The “Good Samaritan crash” occurs when a driver is waiting to exit from a driveway onto a traffic-filled street, and the driver of a vehicle on the street stops well behind the cars in front of them to allow the other car to pull out across the street. The driver pulling out cannot see the oncoming car because of stopped traffic and is “waved out” into the danger zone by a driver who also cannot see the oncoming car. As the driver tries to cross multiple lanes of traffic, they are struck by a car in one of the inner lanes. Typically in cases like these, the vehicle pulling out into the traffic lane is the “at fault” driver, as was the case with Friday’s crash. Further, in most cases, drivers turning left do not have the right-of-way, which means they must wait for oncoming traffic to pass before turning, and another driver waving them through doesn’t’ change that. While the gesture is motivated by motorists being nice to each other, not waving a vehicle through is safer. “Basically, when drivers wave someone through, they could be waving them into a ticket or into a crash,” Childs said. Make certain you are able to trust the wisdom of the “good samaritan”. It is still the responsibility of the driver to determine the safety of moving a vehicle at the direction of some one trying to be nice. Why would you want to even waste your time trying to make that turn? Instead, the driver could have exited onto 700 and then went to the intersection with a left-hand turn signal to get to the same place. I laugh at people exiting the Maverick on Sunset and Dixie who try to turn left onto Sunset heading east when they can exit onto Dixie then hit the light to make a left. People here just do not use their heads when it comes to driving. Why not use your brain instead of risking an accident? I don’t like when I’m at a stop sign turning right the idiots in the left creeps up more to block my view so I have to wait until they go so I can see traffic, It’s better to be safe than sorry. Time to “man up” and trade in your econo rice box for a big ol’ lifted heavy duty diesel pickup. It’ll no longer be a problem. LOL. Funny enough it’s always the idiots in these huge lifted trucks that pull up and block your view like that. The last writer was correct, when you pull in the right lane and the center lane guy pulls up you can’t see, then when you wait for the traffic to clear the light changes and the last 2 cars run the red light… I see si many people running red light, 5het gun up 5he car to get thru..